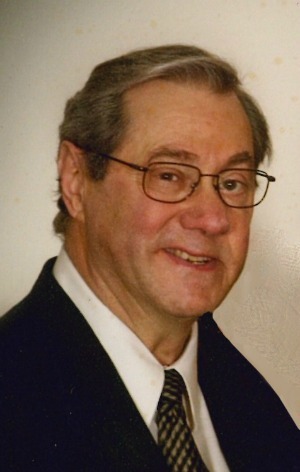 J. Wilmer Eby, 78, formerly of Manor Township, went home to be with his Lord and Savior at Landis Homes, on Monday, June 11, 2018 after a long illness with lung cancer (adenoid cystic carcinoma). Born in Paradise, Twp. On November 2, 1939, he was the son of the late Lloyd M. and Martha W. (Leaman) Eby. Wilmer graduated from Lancaster Mennonite School in 1958. He married the love of his life, the late Anna M. Eby, on June 16th, 1962. They moved to Portland, ME to fulfill his draft obligation, to work in the Maine Medical Center for two years. He spent 17 years as a dairy farmer after which he served Turkey Hill Dairy as Human Resource Manager until retiring in 2007. He and his wife also served as Pastor Couple for Masonville Mennonite Church for 10 years. Wilmer served on the Board of Directors for Philhaven, Millersville International House as well as with other Christian organizations. He was a devoted family man, married to the late Anna M. Eby for over 54 years who preceded him in death on February 24, 2017. He cared deeply about his children and grandchildren. Surviving is a daughter, Mary Beth wife of Carl Ranck of Lancaster; three sons, Steven R. husband of Joyce Colligan Eby of Braintree, MA, Philip R. husband of Diane Bollinger Eby of Holtwood, and Andrew L. husband of LaRee Miller Eby of Portland, OR; and 11 grandchildren. Also surviving is a sister, Mary Ellen wife of Dr. Ivan Leaman and brothers, John husband of Audrey Hartzler Eby and Dr. Marlin husband of Julie Eaton Eby. A Memorial Service will be held on Sunday, June 17th, 2018, at 3:00 P.M. at The West Bethany Chapel at Landis Homes, 1001 E. Oregon Road, Lititz, PA 17543. A Viewing will be held at West Bethany Chapel on Friday evening, June 15th, 2018 from 5:00 to 7:00 P.M. There will be no Viewing on Sunday; however, friends may greet the family following the service. Interment in the Masonville Mennonite Cemetery on Sunday at 1:00 P.M. for those who would like to attend. In lieu of flowers, contributions in Mr. Eby’s memory may be made to the Caring Fund at Landis Homes, 1001 E. Oregon Road, Lititz, PA 17543 or to Hospice and Community Care, 685 Good Drive, P.O. Box 4125, Lancaster, PA 17604-4125. All of you are in our thoughts and prayers. Praying for you in the weeks to come. Stay close to each other. Please accept our sympathy on the death of your dear brother, Wilmer. We know there’s no right time to say good-bye We wish for you the blessing of memories. Steve, Joyce and family – so sorry to hear about your loss! Our thoughts are with you. I am deeply sorry for your family’s loss of Wilmer. May the “God of all comfort” embrace you and bring to your minds joyful memories. All the best wishes for your family at this time, take care.